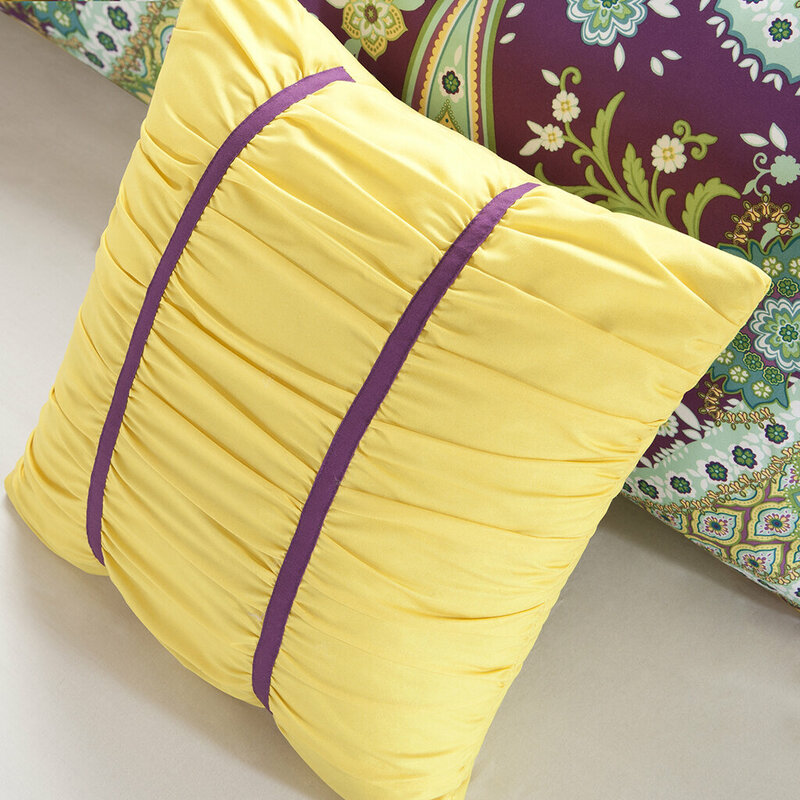 This purple and yellow paisley bedding set is an absolute dream. 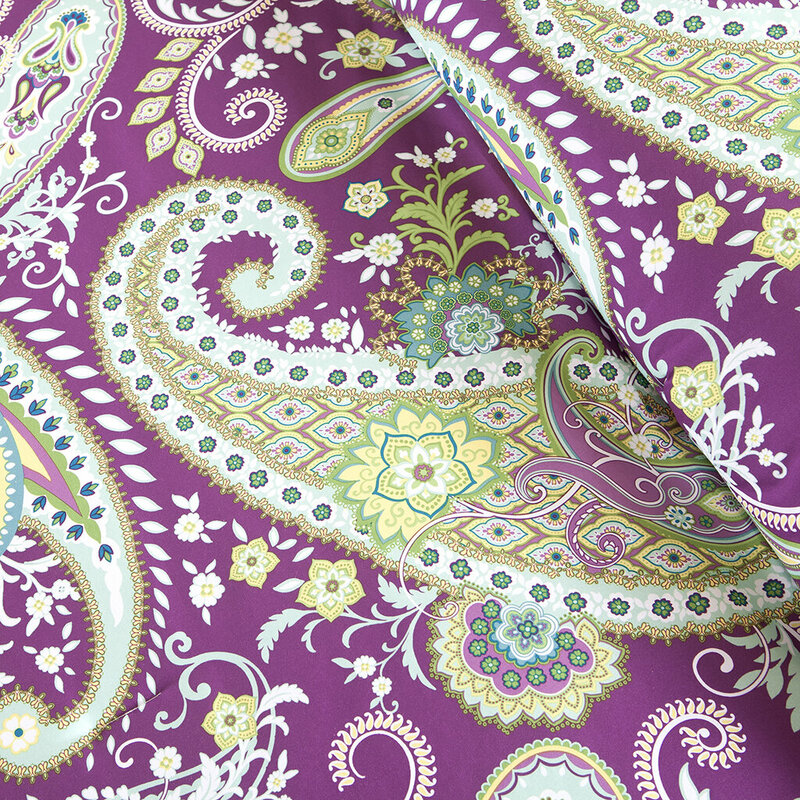 Combining purple and yellow together with this paisley pattern is just divine. What I love about this set personally is that it includes the decorative pillows that you see in the picture. This set is available in twin size and full size only, it's made for a teen girls room and what a look it is. 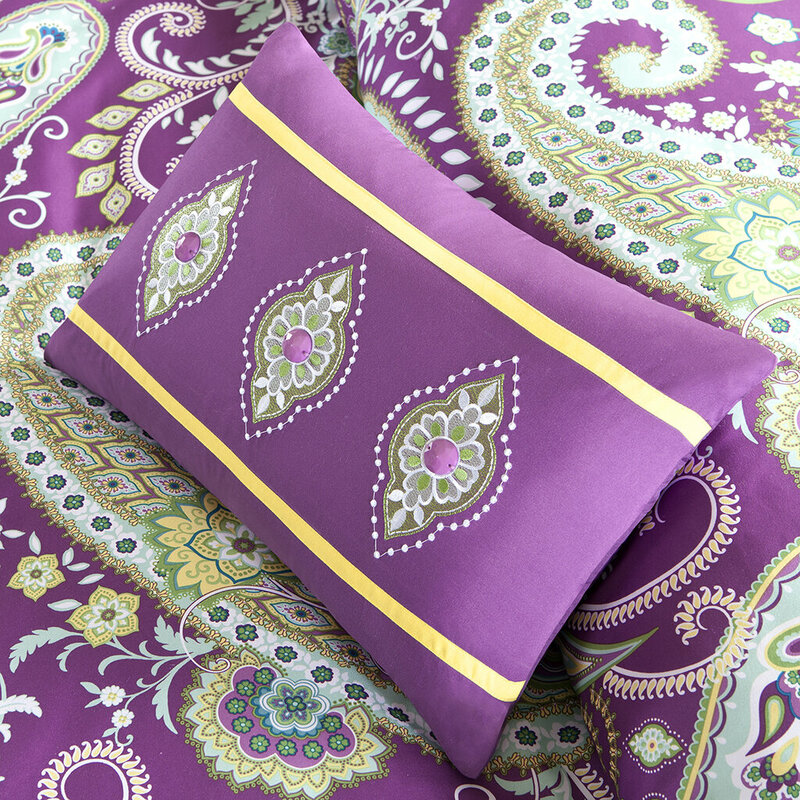 Stunning, and eye appealing, this purple and yellow paisley bedding set from Intelligent Design has that modern appeal with a classic vintage pattern. You don't see a lot of paisley prints that work this well together, but this one has all the charm and class that you'd expect from Purple Bedroom Ideas.